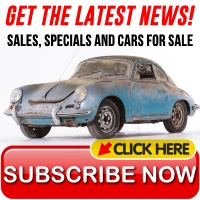 Your Source for Authentic Restoration and Repair Parts for your Porsche 356 911 912 914 930 964 993 996 997 Boxster or Cayman — If it's got a Porsche Crest on it, we sell parts for it! Please use the navigation menu on the left side of the screen to find the exact part you need for your Porsche. Numbered diagrams are present on many of the categories.